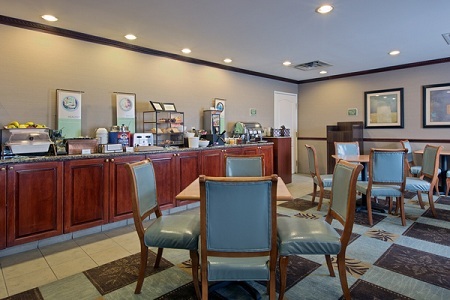 Rest your feet after a day of touring James Madison University by curling up next to the fireplace in our spacious lobby at the Country Inn & Suites, Harrisonburg. Borrow a page-turner from the Read It & Return Lending LibrarySM to enjoy with complimentary coffee and cookies, available throughout the day. 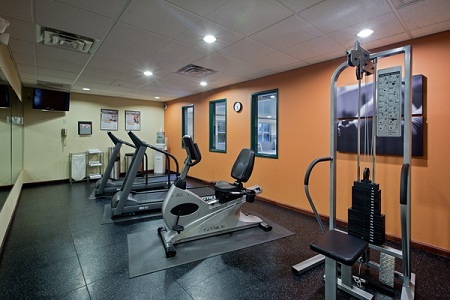 Visit our heated indoor pool to soak away stress, or figure out what attractions near the hotel you’d like to check out by using our free high-speed Internet access. Start each morning off with our free, hot breakfast. Fill up on selections like waffles, bagels, eggs, yogurt and fresh fruit. If you're near the hotel during lunch or dinner, you can try one of the great nearby restaurants like Local Chop & Grill House or Pano's.